Our insurance and warranty services are checked for compliance with Financial Conduct Authority standards. Professional Consultants Certificate Ltd are now able to offer all insurance services to the builder, self-builder and developer. 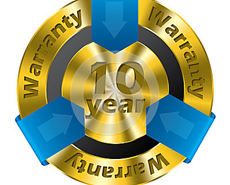 Ten year warranty, specialist insurance for say flat roofs or basements, site insurance, contractors all risks insurance and a range of liability insurances are now accessible from us direct. From self-builders embarking upon their first property development up to large property development companies all can now look to us for advice and competitive quotes for all their building insurance needs. Professional Consultants Certificate Ltd is now an Appointed Representative of Momentum Broker Solutions Ltd. Momentum Broker Solutions Ltd are regulated by the Financial Conduct Authority FCA. Professional Consultants Certificate Ltd are the one-stop shop for warranty, insurance and building monitoring.